Fleece jackets men's - Outdoor Shop. Brands of Haglöfs Jackets, Vaude and Salomon. Enjoy the great selection at rollsport.com and buy now your fleece jacket. 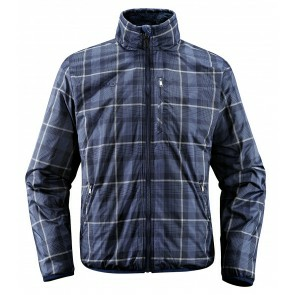 A jacket that is not very hard, but still functional, you will find very difficult. With a fleece jacket for men, you have a great product. A fleece jacket is comfortable to wear and fully functional. Everyone knows it - you want to be out there, but undecided whether to Thick or thin jacket. Then a fleece jacket but just right. Not too thick and not too thin. So that you will definitely be hot at your destination.